One would think I should have learned my lessons over the years in maneuvering through the byzantine world of American healthcare delivery (trust me, its not a SYSTEM, folks, but a world where every party involved tries to skim a little extra profit off the ridiculously high premiums Americans already pay), but I routinely find out that's not the case. Over the years, I have shared stories of how I had like 4 different healthcare plans over the past six years yet have been with my employer for the past fifteen, and it wasn't because I switched plans in open enrollment because the only choice I had was to be covered or not. Each change brought new rules, new formularies and new appeals processes. I switched to United Healthcare a few years ago and compared to Wellpoint/ Anthem, I'd say they've been light years ahead. Its hard to believe, but I've been the proud owner of a Dexcom for almost a year now, something that wouldn't have been a possibility with my old insurance plan. There are things about the Dexcom that drive me crazy, but in the grand scheme of things, its been key to a much better night sleep for me and my spouse. It also helps refine overnight basal dosages and insulin-to-carb ratios, and, the kicker is that there have been no severe hypos while I've been wearing the thing, which alone could be saving the insurance company thousands of dollars (one ambulance call would erase any savings they save by denying me a Dexcom). Why any insurance company would choose to fight this is beyond me, but I've been glad to enjoy it. Anyway, a while ago, United Healthcare switched me from Medco (which was acquired by Express Scripts anyway) to a Pharmacy Benefits Management company they acquired known as OptumRx. For the most part, the transition (for me) was seamless, but OptumRx isn't the greatest, and they are moderately better than Caremark ever was. Over the years, I had stockpiled a bunch of lisinopril when using cheap mail order pharmacies like Walmart (in the days I had an ultra-high deductible plan of $2,500 for me and only me, nothing was covered until I met that threshold, so I found cheap places to get some prescriptions and order there), which is a small-molecule ACE inhibitor whose primary purpose is hypertension (which fortunately, I've never had), although they are prescribed off-label because studies have shown they can have a prophylactic effect on kidney issues common in people with long-term diabetes. I use a very cheap generic called lisinopril at the lowest dosage, and it's worked damn well because my kidneys seem to be working great after a urine test over a decade ago showed trace elements of protein which is supposed to be a very early warning sign of kidney disease. Anyway, my stockpile has been running down and I thought I should refill, but I learned firsthand of the profiteering that goes on in the generics business. As I know for a fact, even without insurance, I could get lisinopril for $10 for a 90-day supply just by ordering from CVS Pharmacy, Target pharmacy, Walgreens or Walmart pharmacy. So I wrote to United Healthcare and OptumRx (I addressed my letter to the CEO's office; in my experience, its much faster to go from the top down rather than the bottom up), and said I would transfer the prescription to another pharmacy if they weren't willing or able to match the co-pay amount of $10 (OptumRx charges $25, and supposedly United Healthcare is picking up a portion of the total amount, so the unknowing patient is being screwed deep and hard here) - without having to submit a claim to United Healthcare at all, so why the hell would I agree to pay 150% more for a drug that can be bought without insurance for next to nothing? That makes no sense. I guess that's what is supposed to happen with healthcare insurance, but it seems stupid to me. I got a strange response that looks pretty much like a denial, but its so poorly written I can't be certain. But I decided I won't bother appealing it. 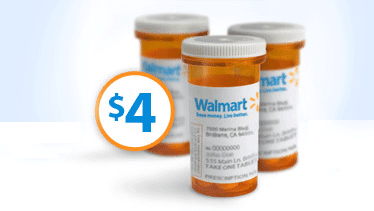 I just called Walmart's mail order pharmacy and the woman on the phone couldn't have been more helpful. I told her I wanted to transfer my prescription from OptumRx to Walmart's mail order pharmacy and asked her what I needed to do or provide her. I gave her the Rx number, the name of the medicine, the quantity, strength and the doctor's name, phone number and his fax. They do the rest. And, I'm getting this medicine for $10 instead of $25, mailed to me. I should have known better and just sent it there in the first place! Note to self: make it easier on yourself next time and do it that way, Scott! I recently did something similar. My insurance company (BCBS-IL) charges me a flat copay per prescription if I get them via mail order, and a percentage if I get them in a local pharmacy. That's intended to encourage me to order through the mail order pharmacy. When I started paying attention to this stuff (2007) my copay was $30 for mail order pharmacies. At the beginning of 2013, it was up to $60 (for a three month order). I have switched my Novolin R, test strip, and pen needle prescriptions to Walmart. I am keeping my only expensive prescription (Lantus) mail order. I am saving about $20 per month this way as compared to my old scheme.